Wouldn’t it be nice if you could create a course once and then never have to worry about it again? That’s the dream! Unfortunately, that’s seldom the reality. Course content is rarely 100 percent evergreen. That being said, there are some things you can do when you’re creating your course to make the maintenance process easier down the road. Here are some of my favorite tips and tricks. Whenever you include information that could change, you run the risk of your course needing to be updated more frequently. For example, if you include the name of your human resources director and then that person leaves the company, you’ll need to update that course so learners don’t try to reach out to someone who’s no longer around. Instead of mentioning them by name, simply tell people to contact the HR Director. And instead of including their email address, provide a generic email address that’s forwarded to whomever currently holds that position. You can apply this same logic to things like dates for upcoming product releases or trade shows, which are also subject to change. Instead of specifically citing the dates, link to a page of your intranet, for example, that’s more likely to be up-to-date. If you have to include specifics in your course, it might be a good idea to create a document that outlines all the information that could change and where it’s located in the course. That way, when it’s time to update the course, it will be easier to make sure you haven’t missed anything. Here’s a list of things you might want to include. If you know that some information will be obsolete as of a certain date—for example, when a new product is released—add a reminder to your work calendar a few weeks before that date so you remember to update the course beforehand. After all, there’s no sense in providing your learners with outdated information! Images are another thing that often need to be updated, for example, photos of employees who have since left the company or logos that have been revamped. Sometimes these images can simply be left out—you could, for instance, forego photos of employees entirely—but other times they’re necessary—for example, in the case of logos. When you have to include images that might need to be updated, the best thing to do is make sure they’ll be easy to swap out when necessary. Before you build your course, find out whether the tool you’re using has slide masters or a media library feature that allows you to update all the instances of an outdated image in one fell swoop. If it does, make sure you’re building your course in a way that allows you to take advantage of those features when the time comes. If you’ve spent time building a complex interaction, write down how you built it while it’s still fresh in your mind. That way if you need to update it later on, it’ll be easier for you—or someone else—to do so without breaking it. You can include this information in the project file or in the maintenance sheet, whichever is easier for you! Creating courses that never need to be updated is probably not realistic, but by following these simple tips you can minimize the hassle and save yourself a little time and effort. 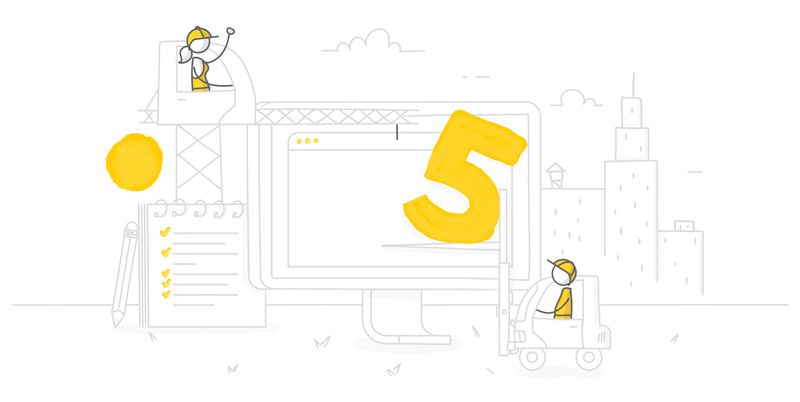 When it comes time to update your course, be sure to check out this E-Learning Maintenance Checklist so that you don’t miss anything important. As a freelancer, I often have to update projects I am unfamiliar with. I include a "Developer Note" layer for slides with complex interactions that explains how I built the interactions and why I used the method to build the interaction. When I go back months or even years later, I can quickly refresh my memory on why I used a particular method, trigger, variable, etc. It would also help anyone who had to come after me and update or modify the project. We all have our own logic and reasons why we choose one method over another. That is a great idea that I will adopt going forward. I have had to work out what/why I did something by stepping through the interactions months later. Thanks Cheryl. Great suggestions! We have to update our courses so frequently because of regulatory updates. With 500+ courses, it's a nightmare. Each year we have to update at least 100 courses. Keeping up with what needs to be updated is such a challenge. Would love an electronic solution, but your suggestions are great! Thank you! Wow, that does sound like a big effort! Hopefully, this list will help you work more efficiently.